Description: Born in 1879 in Cremona, Italy, Giuseppe Pedrazzini quickly became one of the most prominent Italian makers of the 20th century. His family’s rich history of cabinet making helped Giuseppe to become a skilled craftsman from an early age. He began his apprenticeship at the R. & A. Antoniazzi firm in Milan in 1903. From there, he established himself independently in 1906. 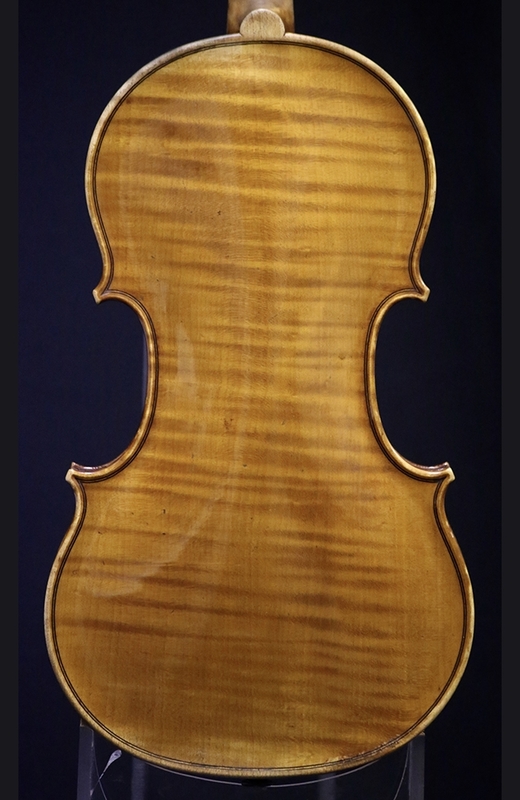 He was appointed the luthier to the Conservatoire and Opera House in Milan. He was awarded several medals and prizes, notably in Rome in 1920 and Cremona in 1937. Pedrazzini employed numerous makers at his shop throughout the years, including both Ferdinando Garimberti and Natale Novelli. 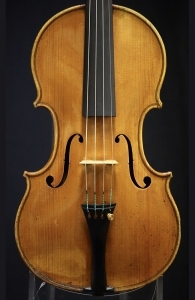 This particular violin is an example of Pedrazzini’s finest work. 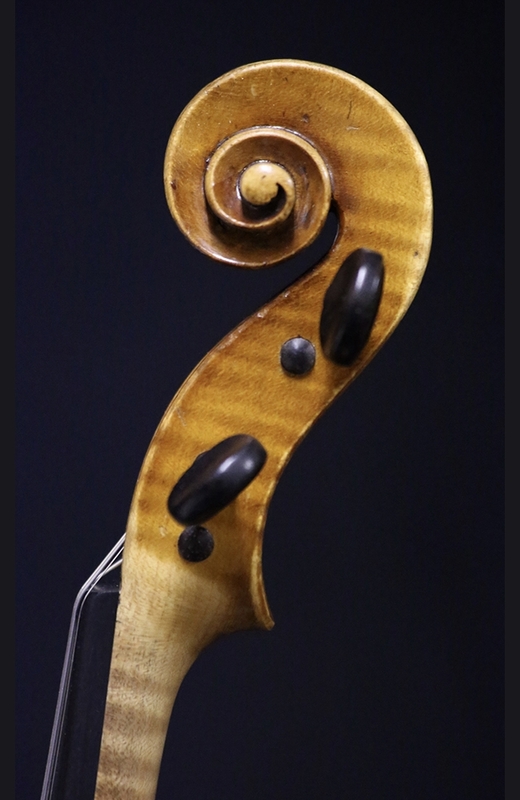 It is in excellent condition and produces a bright, soloistic tone. Back length: 35.9cm. 14 1/16in. Certified by Hans Weisshaar’s George Ettinger.